My background is in Earth and environmental sciences, with particular focus on the interaction between ice and climate. Science. My research currently encompasses three main areas: 1) determining the past size of ice sheets and associated contribution to sea-level change; 2) investigating the drivers and mechanisms of ice sheet behaviour; and 3) developing the applications of cosmogenic nuclides and surface-exposure dating to better reconstruct ice sheet history. Outreach. 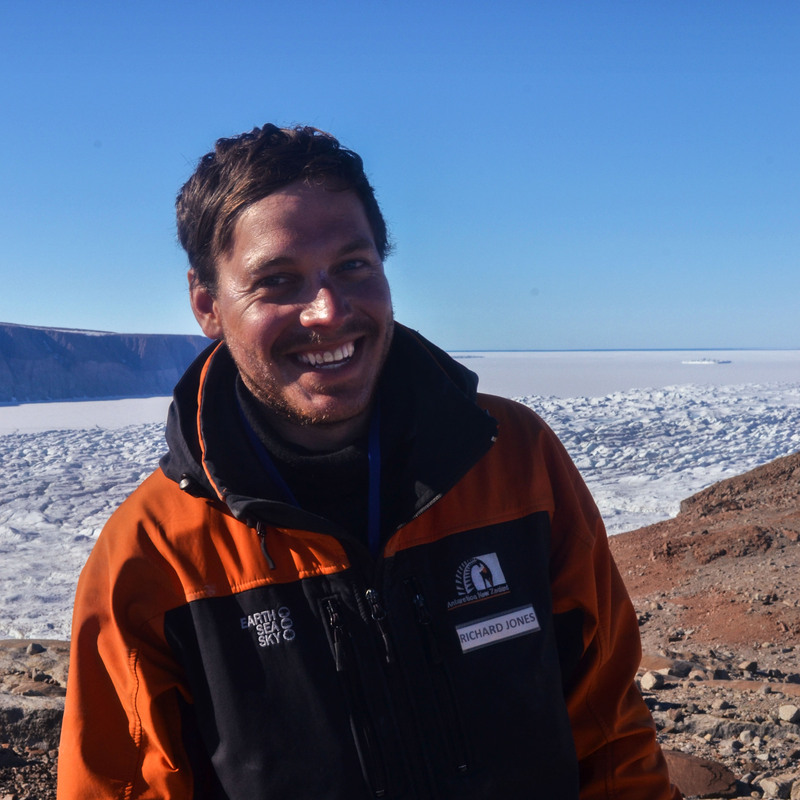 I am passionate about engaging the wider public in Antarctica and climate-related science. In particular, I share my Antarctic experiences through an online blog and videos, and was co-founder of Climatica – a climate science-public interaction initiative, which offers short articles about climate change and the Earth system, written by relevant scientific experts. Cold warning from Antarctica’s past, NZ Herald (27 November 2015). Antarctic glacier’s past rapid retreat, Radio NZ (27 November 2015). Dating of moraines around Lake Ohau, GNS Science outreach blog (24 September 2013). Junior Research Fellow, Durham University (November 2016–Present). Course Leader & Lecturer (Invited), Royal Holloway University of London (March–May 2017). Cosmogenic Nuclide Laboratory Manager, Victoria University of Wellington (June–October 2016). Postdoctoral Research Fellow, Victoria University of Wellington (June 2015–June 2016). Teaching Assistant, Lab Coordinator, Lecturer & Field Course Organiser, Victoria University of Wellington (part-time, 2012–2015). 2015, Ph.D., Physical Geography, Victoria University of Wellington (NZ). 2009, M.Sc. (Distinction), Quaternary Science, University of London (UK). 2008, B.Sc. (1st Class Hons. ), Physical Geography with Environmental Science, University of Gloucestershire (UK). Cosmogenic nuclide sample preparation and geochemistry (Beryllium-10 and Aluminium-26; in situ and meteoric). Sampling of nunataks and moraines for surface-exposure dating (3x Antarctic seasons, 1x Greenland season, and New Zealand). Geomorphological mapping (Scotland, Switzerland, New Zealand, Antarctica). Sediment coring – Gravity core (NE Greenland). Sedimentology – Field section descriptions, core logging and grain-size analysis. Ice-flow modelling – 1-d, 2-d and 3-d (incl. Ua and PISM). Data processing – MATLAB, ArcGIS, GMT. 2017, New Zealand Antarctic Research Institute grant, ‘Potential for non-linear, threshold-driven response of Antarctic outlet glaciers; insights from David Glacier, Antarctica’ (AI), NZ$115,000. 2016, International Junior Research Fellowship (Marie Sklodowska-Curie cofunded by Durham University). 2016, President’s Award for Best Doctoral Thesis, New Zealand Geographical Society. 2015, New Zealand Antarctic Research Institute grant, ‘Constraining Antarctica’s contribution to past global sea level rise in Northern Victoria Land and the western Ross Sea’ (Co-PI), NZ$100,000. 2015, Faculty Strategic Research Grant (Victoria University of Wellington), ‘Establishing the capability of measuring cosmogenic Be-10 in Antarctic sediment cores’ (Co-PI), NZ$6000. 2013, Antarctic Science Bursary, ‘Dynamics of outlet glaciers in the Transantarctic Mountains since the Last Glacial Maximum’ (PI), £5000.